Well, I missed our first link up and I was super bummed about it, but I am back for this one! The wonderful group of the Beauty Blog Coalition are doing it again! We are off to present you with our Halloween treats. 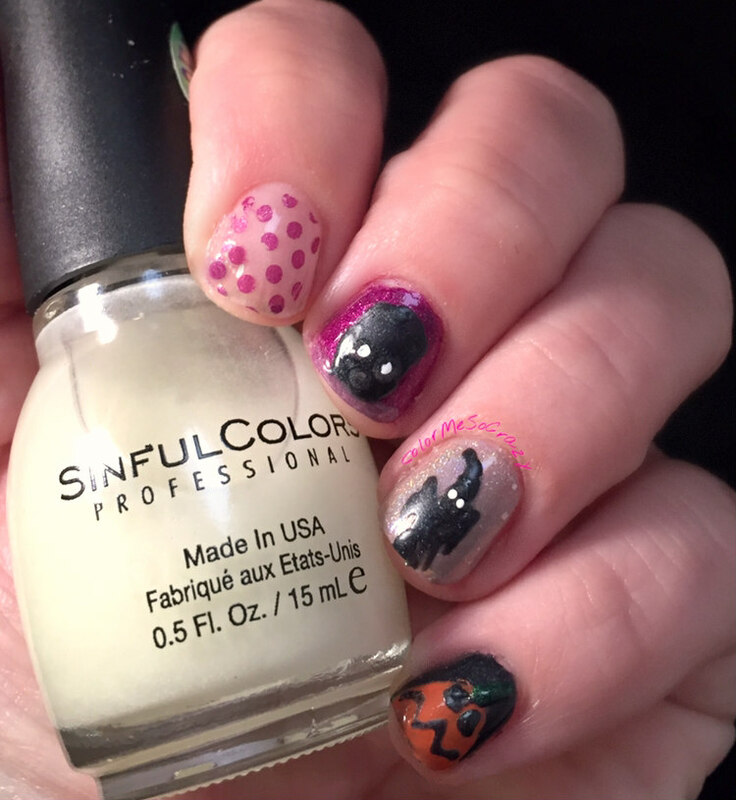 I decided to go with a Halloween skittlette and a skittle design. I did use a theme with both designs, though so that's a BOGO for you! 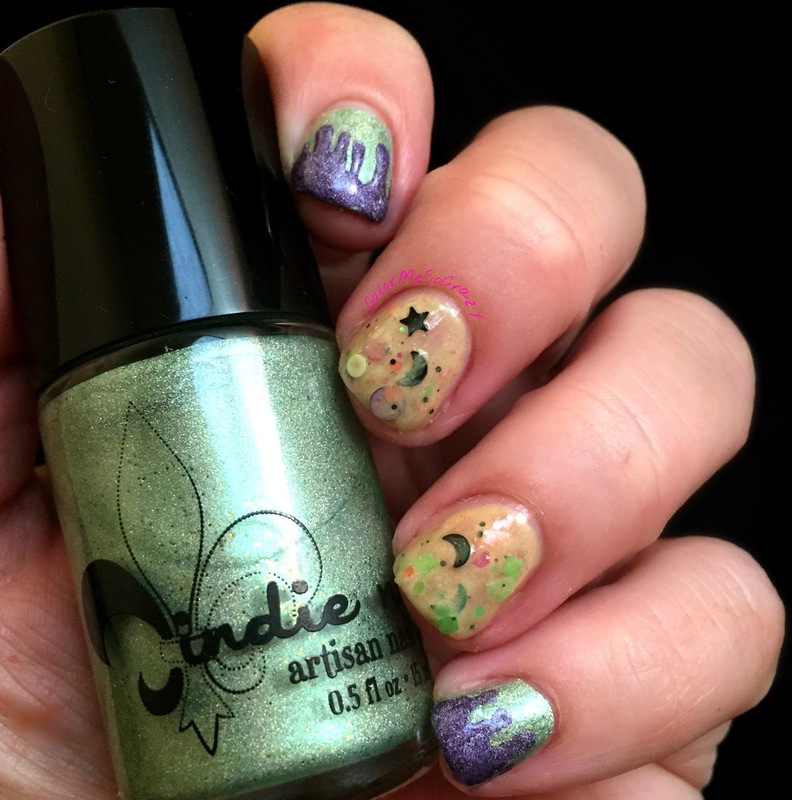 First up, I have an ALL Jindie Nails design for you. 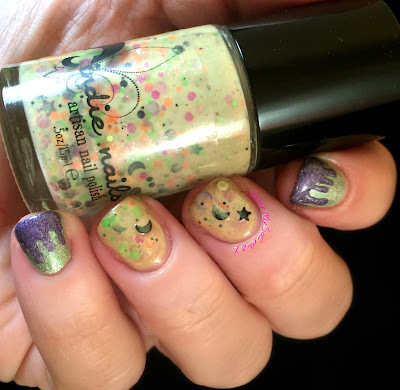 I was cleaning up my collection and digging out some Halloween polishes. I came across a couple in my Jindie box. 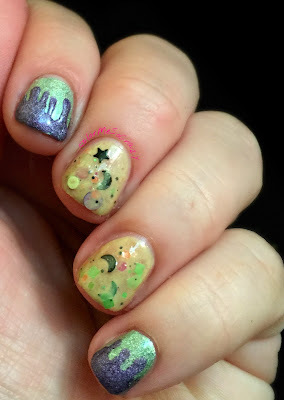 I used this fun crelly and then did some fun goopy "gut" droplets on the outer two fingers. I love these scattered holos and I love how they have held up after all these years. Next up, I just did a little design with a some characters and fun designs. I used a lot of Zoya colors for this one because I love using mattes for Halloween. There is something dreary about a flat matte color. 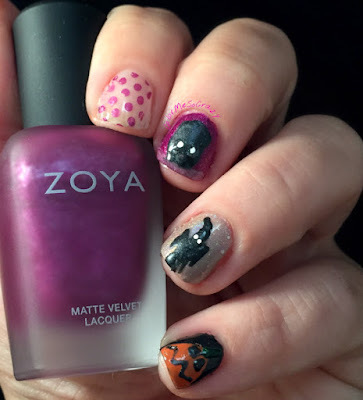 I love these purples for Halloween this year! The skeleton head, ghost shadow and pumpkin are all free-hand drawn. 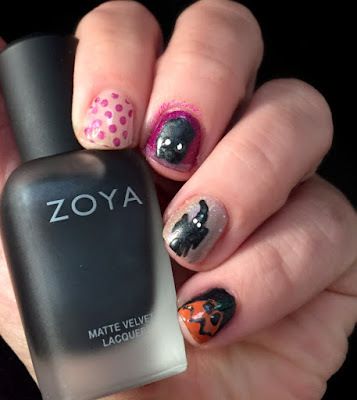 Be sure to check out the rest of the lovely ladies posts and their great ideas for Halloween make up and nail designs. I am sure you won't walk away disappointed! Until next month's challenge... Have a boooootiful day!